Solution to preserve the K, Ca and Na and pH electrodes of in the ELETROLYTE - WE-300 instrument from WAMA Diagnóstica. This reagent is used for diluting the urine sample to do the reaction in the analyser WE-300 - ELETROLYTE from WAMA Diagnóstica, employing the ISE method. For in vitro Diagnostic use only. Solution for Quality Control, tested to monitor the performance of the instrument ELETROLYTE - WE-300 from WAMA Diagnóstica. 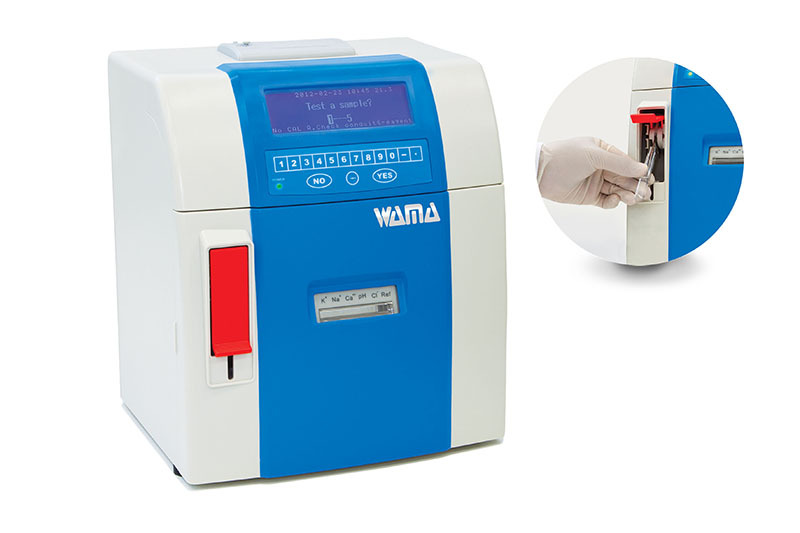 Standard solution for calibration of electrolyte analyzer that uses ion selective electrodes ELETROLYTE - WE-300 from WAMA Diagnóstica. Solution to preserve the Na and pH electrodes of the ELETROLYTE - WE-300 instrument from WAMA Diagnóstica. Internal Solution of reference electrode, which provides the electric potential to this electrode. For use in the electrolyte analyzer by ion selective electrodes ELETROLYTE - WE-300 from WAMADiagnóstica. Internal solution of the Na, K, Cl, Ca, and pH electrodes, which provides the electric potential to these electrodes. For use in the electrolyte analyzer by ion selective electrodes ELETROLYTE - WE-300 from WAMA Diagnóstica.